Hammacher Schlemmer has been offering The Best, The Only & The Unexpected Since 1848. It is their mission to enhance their customers' lives by bringing them unique products that either solve problems or further their lifestyle, and eliminate their need to comparison shop by providing them with, not only the best products in the marketplace, but the information supporting the reasons why these products are truly the best. To their customers, the name Hammacher Schlemmer, means many things. It means shopping from one of the most unique and innovative collections of products available anywhere in the world. It is an assurance of the highest quality—always backed by our unconditional guarantee. It means customer service—second to none—provided by dedicated professionals who are willing to go that extra step. I received these great The Best Heated Gloves from Hammacher Schlemmer. These heated gloves earned The Best rating from the Hammacher Schlemmer Institute because they generated the most heat and their battery lasted the longest. The best model heated to a toasty 135° F on its highest setting—22% warmer than lesser heated gloves—and it was one of only two models that produced heat in the fingers and palms. The Best Heated Gloves' rechargeable batteries provided up to 21 hours of power, far superior to other models' batteries that lasted a mere 2 1/2 hours. Panelists deemed The Best Heated Gloves to be more comfortable, thanks to a Thinsulate lining that was "comfortable and soft" and its even heat distribution that "did not feel too hot on my fingers like with other gloves." 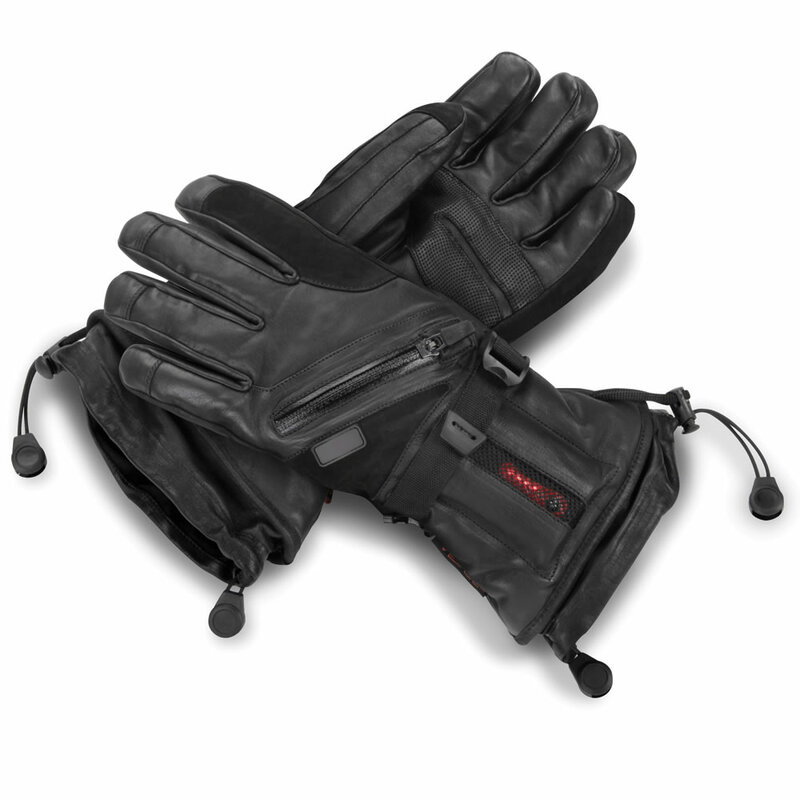 The Best Heated Gloves have a leather shell, a water-resistant membrane and cuff cinches that keep hands dry, and zippered compartments that allow easy removal and insertion of the batteries. Batteries recharge in 5 hours via the included AC adapter. Buy It: You can purchase the The Best Heated Gloves for $199.95 on the Hammacher Schlemmer website.